There are 13 weeks of fall coming up. You’re gonna need a game plan to transition yourself from summer to winter, and by that, we mean: you’re going to need to eat something awesome at least once a week to build up some insulation against the cold. Happy feasting. This time of year should remind you of how exciting it was to go back to school and see who grew… taller! It should also remind you of the best afterschool snack known to man. 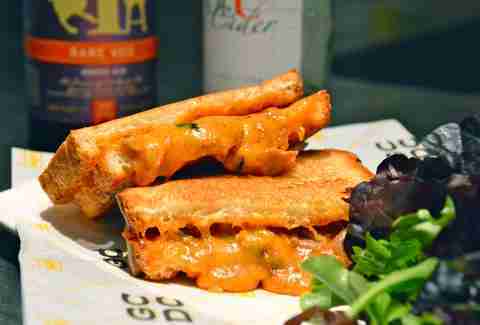 You’re never too old for melty excellence, so visit GCDC, Ripple or The Pursuit. 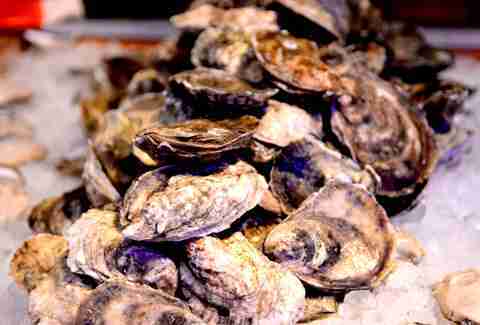 Since according to somebody or other oysters should only be consumed in months that end with “r,” hit up some of the best oyster happy hours this city has to offer at Old Ebbitt Grill, Hank’s Oyster Bar and Pearl Dive Oyster Palace. You’re getting ready to hibernate remember? 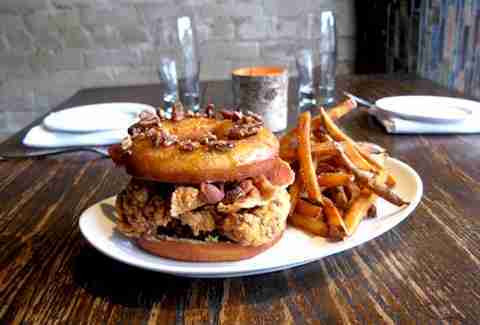 So don’t be shy about grabbing The Luther at GBD. A fried brioche doughnut glazed in maple-chicken jus and buttered pecans is just the vehicle to get slabs of bacon and a fried boneless chicken thigh to your mouth. Also try Astro Doughnuts and Fried Chicken, because this is the Oct 5-11 slot, not the Oct 5-5 slot. Dolci Gelati has a host of fall flavors: Sweet Potato Pie, Pumpkin Pie, Gingerbread Cookie, Salted Caramel Apple and more. But don’t go at them with a spoon. 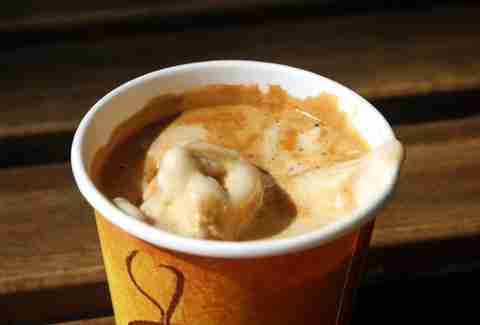 Have the shop add a scoop to your espresso for an affogato that screams “October”. Check out their new location at City Market at O, and this bittersweet combo will have you making a City Market at O-Face. Hit DCity Smokehouse for The Meaty Palmer, piled high with smoked turkey, pork belly FOR DAYS, smashed avocado, and jalapeno aioli. 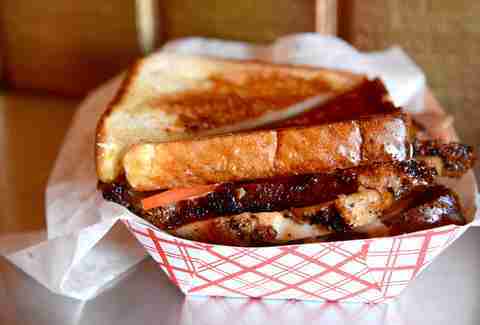 Do not eat this next week, on account of the Texas Toast possibly jinxing us in that Oct. 27th game at Dallas. 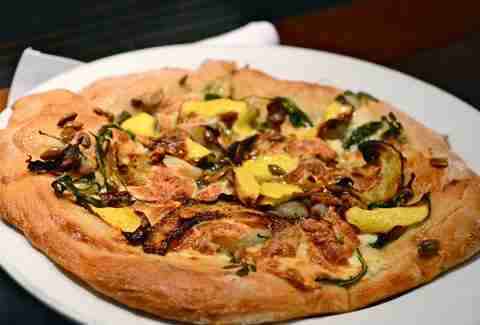 Don’t limit yourself to novelty spiced lattes when you can load up on Nage’s flatbread with roasted pumpkin, smoked mozzarella, creme fraiche, cipollini onions, wild arugula, and toasted pumpkin seeds; sugar pumpkin risotto at Copperwood Tavern; pumpkin goat cheese ravioli at Scion; and pumpkin cheesecake at 701. 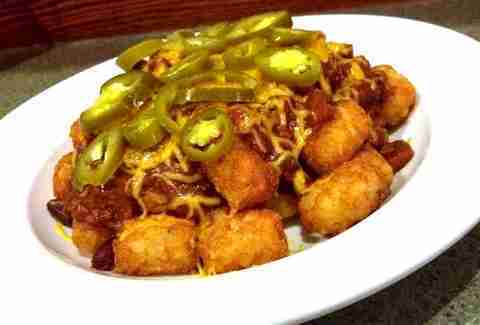 The best way to take in your chili is piled on top of tater tots right? Enter the tater pie at Hamilton’s. Your nachos are going to be pissed you ditched them for a much totter dish. Fall is pretty much ramen o’clock. The first chill in the air sends us diving, chopsticks first, into a hot, steamy bowl of Japanese comfort food. 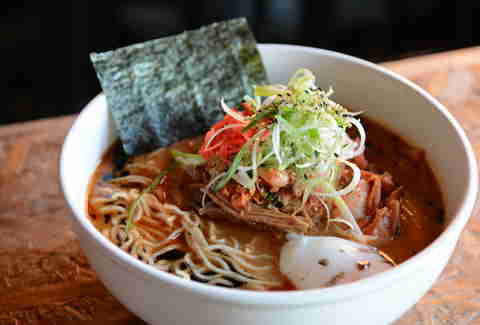 The closest things to standing and slurping at a stall in Tokyo: twirling noodles in the spicy miso ramen at Daikaya, or the kimchi ramen at Toki Underground. 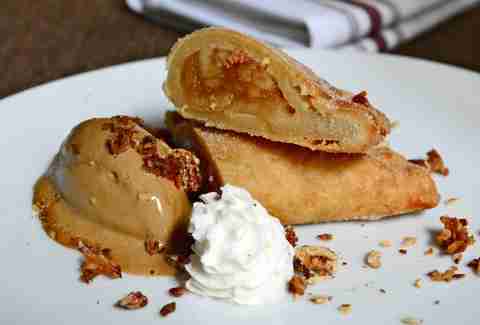 Pre-stretch your stomach for Thanksgiving with The Partisan’s deep fried apple pie with bacon (! ), candied pecans, salted caramel ice cream and a little whipped cream. Because you’re up on politics, you probably know that this is Biden’s favorite hoagie. 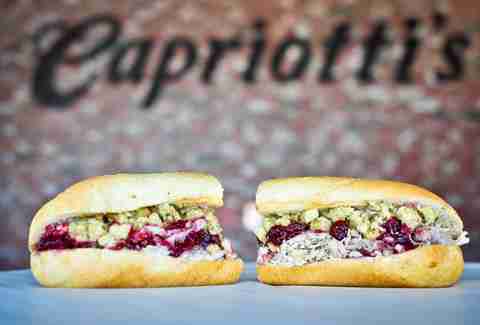 The magnificently toothed VEEP digs Capriotti’s Sandwich Shop’s masterpiece because it’s Thanksgiving on a roll: Homemade turkey, cranberry sauce, stuffing, and mayo, the Pilgrims’ favorite condiment. 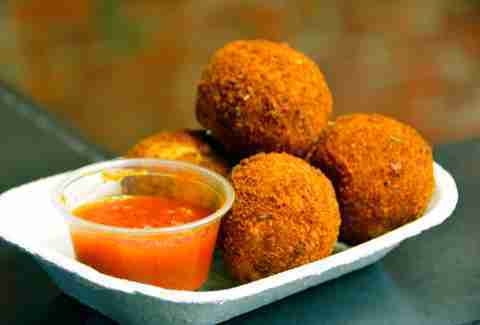 When the cold hits get baked comfort food that’s exotic (Italian) and familiar (balls) at the same time. Call them risotto balls when you order them at Taylor Gourmet or arancini at sophisticated Italian spots like Bibiana or Urbana (where you’ll find them on the happy hour menu for $5). Tip your straw hat to the Pennsylvania Dutch because they’re responsible for this flaky, tasty classic. 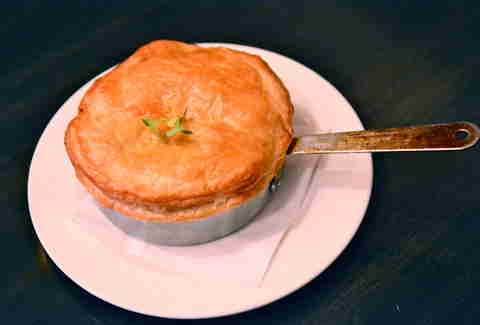 Get a full pie at Lincoln made with poached chicken breast, carrots, celery, Vidalia onions, and green peas, or opt for chicken pot pie fritters at Boss Shepherd’s. Right about now you’re wishing you’d been in a slow cooker soaking up love all day. 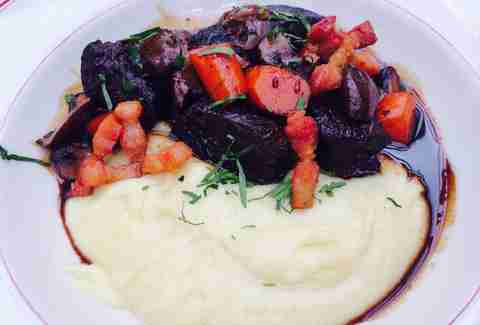 You can get a positively perfect beef bourguignon at DC’s little slice of Paris -- Le Diplomate -- or at Chez Billy. 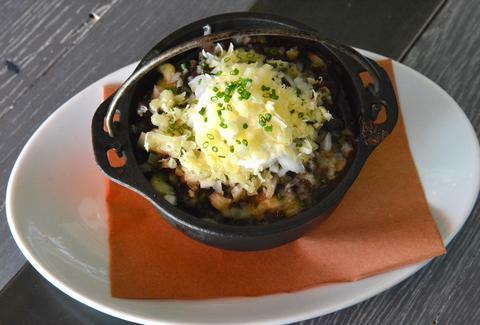 The Le Dip version is dotted with crimi mushrooms, lardons, and red wine sauce, while Chez Billy’s take involves super tender braised beef cheeks. Now go find a cave and hole up for winter.